Nutter McClennen & Fish LLP announced today that David L. Ferrera, a partner in the firm’s Litigation Department and chair of its Product Liability and Toxic Tort Litigation practice group, has been accepted as a member of the International Association of Defense Counsel (IADC). The IADC is the preeminent invitation-only global legal organization for attorneys who represent corporate and insurance interests. Founded in 1920, the IADC’s members hail from five continents, approximately 40 countries, and all 50 U.S. states. Ferrera joins other Nutter litigation partners Andrew McElaney and Nelson Apjohn as IADC members. 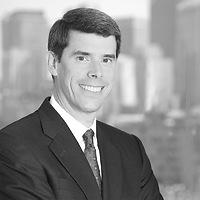 His practice focuses on complex civil disputes representing clients in the drug and medical device industries in the United States and internationally. Active in public service initiatives around Greater Boston, Ferrera is currently a Trustee and Treasurer of the Boston Bar Foundation. He is also a Fellow of the American Bar Foundation. Nutter McClennen & Fish LLP is a Boston-based law firm that provides high-level legal counsel to clients who range from well-established companies and institutions to early stage entrepreneurs to foundations and families. The firm has a highly regarded Litigation Department that represents businesses, major multi-national companies, and high profile executives through complex cases. The firm, co-founded by Louis D. Brandeis, who later became a justice of the U.S. Supreme Court, has been in continuous practice for 135 years.